El Rancho Asador Argentino is a modern restaurant offering Argentinian cuisine. The average price of a main course dish at the El Rancho Asador Argentino restaurant is 15 euros. The average price of a 3-course meal at the El Rancho Asador Argentino restaurant is 30 euros. Note that although GoMadrid.com strives to maintain all information about El Rancho Asador Argentino up to date, the prices mentioned are only an indication and may not reflect the exact value of your meal. 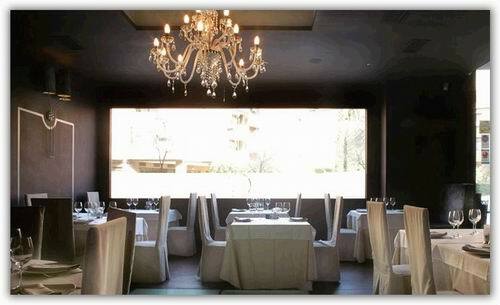 The restaurant El Rancho Asador Argentino in Madrid combines modernity, elegance and innovation in a relaxing ambience. Spacious, independent rooms allow you to enjoy different ambiences, each with their own personality, and ideal to take pleasure in the best Argentinian meat with an excellent service. The dishes are created by Argentinian chefs, maestros in the art of grilled cuisine where beef and other meats are the star products on which the menu is based, combining the best of Argentinian and Spanish cultures. These meats, brought directly from Argentina, are prepared according to the traditional grilling techniques and using the best fresh produce. The restaurant also caters for diabetes sufferers, claiming to be the only restaurant in Madrid with a menu certified by the Madrid Association of Diabetics. The address of the El Rancho Asador Argentino restaurant is: Paseo de los Melanconicos s/n (opposite nº 77), 28005 Madrid. The nearest Metro station is Pirámides. Please see the El Rancho Asador Argentino restaurant location map below.